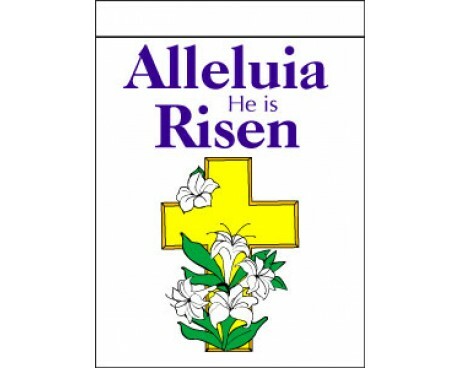 Gettysburg Flag Works offers a variety of flags and banners for the Easter season. 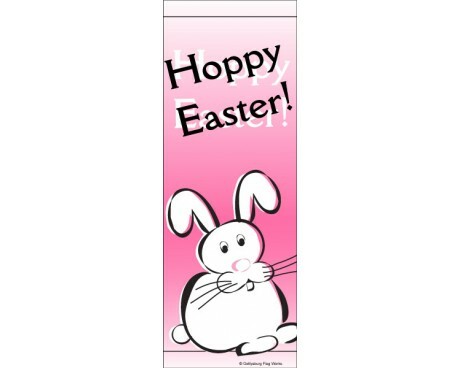 Our Easter decor is perfect for home, church, or business display. 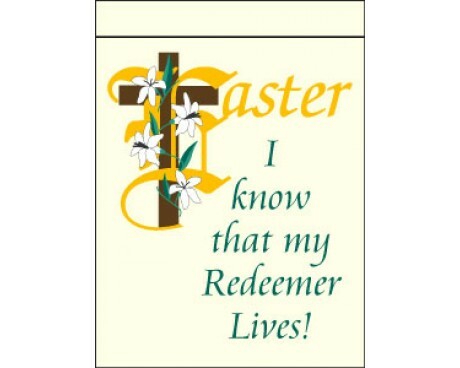 Themes of Easter lilies, crosses, Easter bunnies and colorful eggs will brighten up your space for the spring holiday. 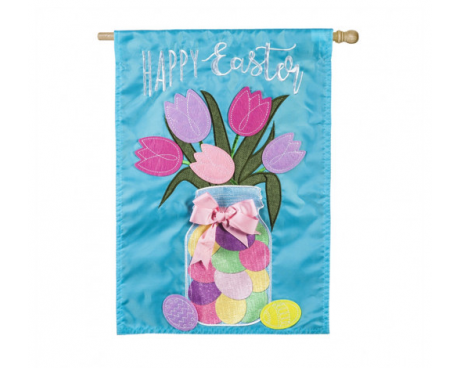 Brighten up your yard with colorful garden flags or mount a new Easter banner from your front porch. 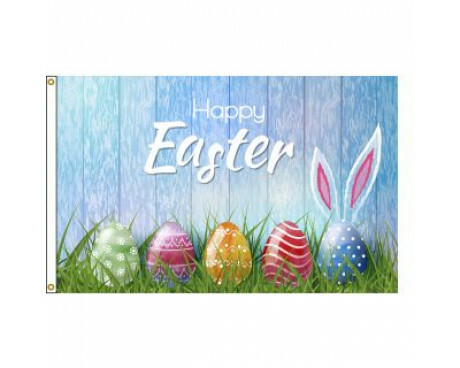 Choose from a variety of Easter themes including painted eggs, a smiling Easter Bunny or a religious themed flag with a cross and lily. 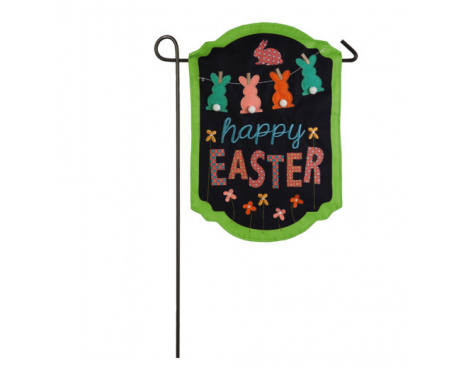 Easter flags come in a variety of colors and styles which can be displayed from your flagpole outside, on the wall inside or as a garden flag at your front door. 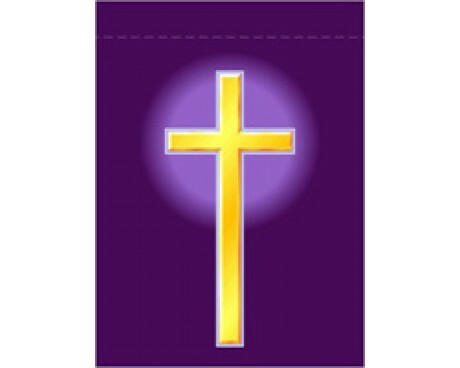 We also offer custom flags and banners for churches and other religious institutions. 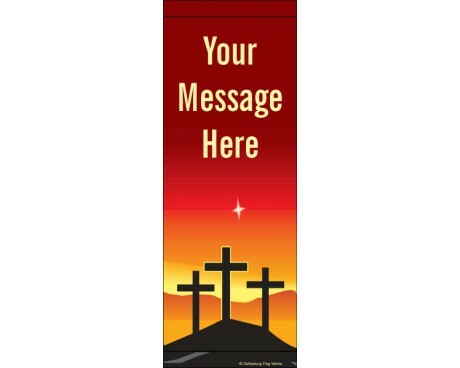 Give us a call today at 1-888-697-3524 or contact us online for a quote on a new Easter sanctuary banner. 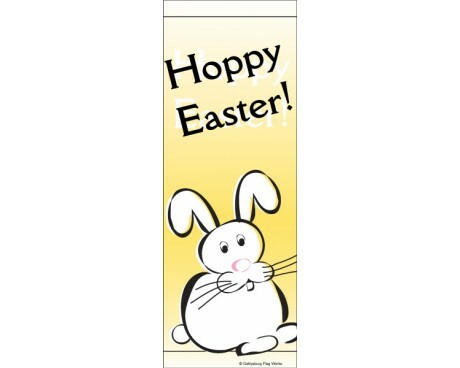 Decorate your parking lot with Easter avenue banners to join in the celebration. This pop of color will be a welcome change as the flowers of spring are just emerging in your flowerbeds. 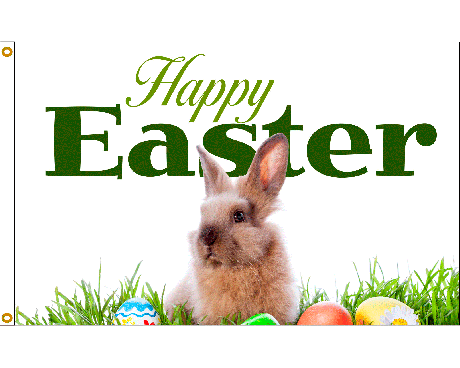 Looking for something Easter-themed that's customized for your business? Check out our portfolio of custom avenue banners for some ideas! We also carry all the necessary hardware for hanging up your avenue banners. Take a look at our avenue banner hardware here. 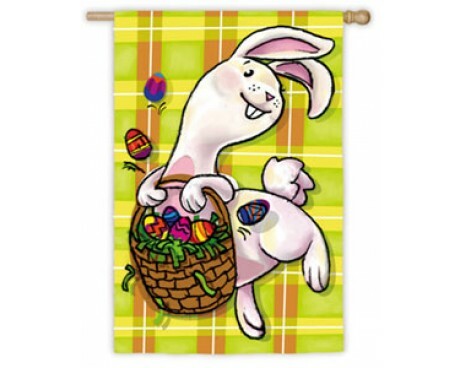 If you're on the hunt for the perfect Easter decor, look no further than Gettysburg Flag Works! 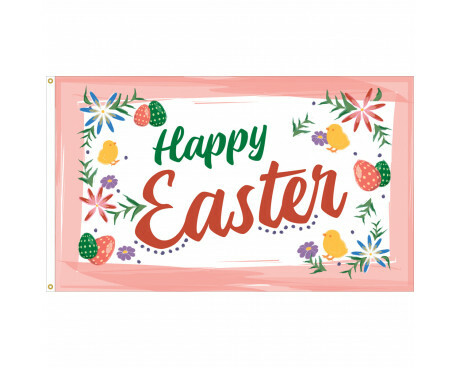 From flags featuring festive colored and Easter bunnies to banners featuring Easter lilies and crosses, we've got you covered. And, if you can't find what you're looking for, our custom flag options make it possible to create the flag you're envisioning! 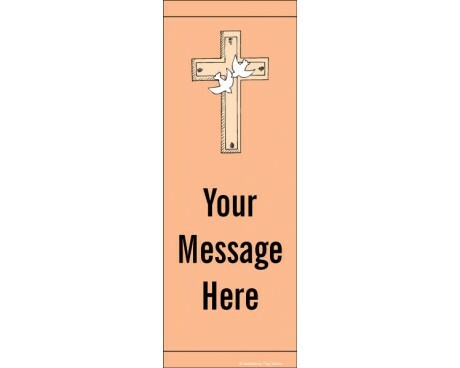 See an Easter flag or banner you love? Place your order online or give us a call at 1-888-697-3524 and we'll place it for you! Shopping for other holiday flags and banners? We carry those as well! Browse our wide selection of holiday and event flags here.